Minal Akkad is the President of Ikebana International Boston Chapter. Ikebana, the art of flower arrangement, is the most well-known and practiced Japanese traditional art. Minal Akkad is an accredited flower show judge. She participates in the New England Flower Show each year and is a regular blue ribbon winner. Minal has been very thoughtfully making floral arrangements for Ekal Vidyalaya’s Power of Education events and recently described the one from this year’s event on March 12th, 2016. 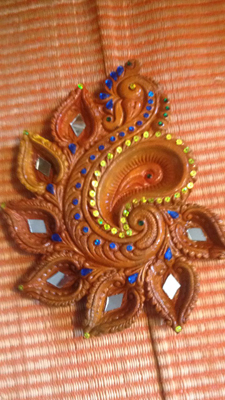 “This is the fourth year that I have been doing flowers for Ekal. Each year it is a different one but I try to use the same colors as the Logo which is orange, blue and white. The plant materials I used this year were orange tulips, blue thistle, white baby's breath, green tea roses and curly willow with the new leaves showing its appearance. The orange tulips indicates the strength and courage of Ekal to take this huge project of education in rural India. The white indicates the softness, peace truthfulness and dedication of all the volunteers. The green tea roses indicates that Ekal will keep on growing by adopting more and more villages. The blue thistle which has spikes on the edge indicates that even though there are hardships to achieve this goal we will continue it and not give up. No project can grow without hardships. And last but not the least the curly willow with its new leaves appearing indicates that the young generation will continue with the project because the elders has laid the foundation. So EKAL all the best! !” The Ekal team is touched by Minal Akkad’s kind gesture. Murhatu, is a village approximately 10KM from Chakradharpur that shares the same natural environment of Himalayas. 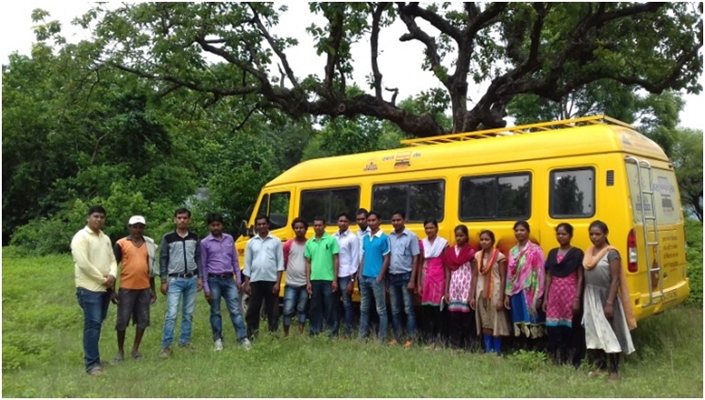 Ekal's mobile computer lab reaches the forest near a pond under big trees in a specified time where 20 to 25 young girls and boys of the villages have gathered. The interns learned confidently and were talking as if they were using computers for a long time. The man behind this is Sri Sadhu Charan who used to travel 5 KM to the nearby village to learn computer, where the Ekal Mobile computer lab used to come. He is the inspiration for the other youths of his village. He said that the government's vision of Digital India is being fulfilled by Ekal's Mobile computer lab. 27 year old Shilpa Mishra is from village Karaikera in Bandgaon block of West Singhbhum district of Jharkhand. This village girl from a very poor family has made a mark for herself. In 2003 Shilpa took training for stitching at the Ekal Gramothan Centre in Karanjho, not very far from her village. By next year she started implementing what she had learnt at home and started a tailoring unit with the help of one tailoring machine she was given free. She started earning 2 to 3 thousand rupees a month, with which she completed her studies and also helped the family. From 2010 she started to train others at the Gramothan Centre, from where she had learnt. 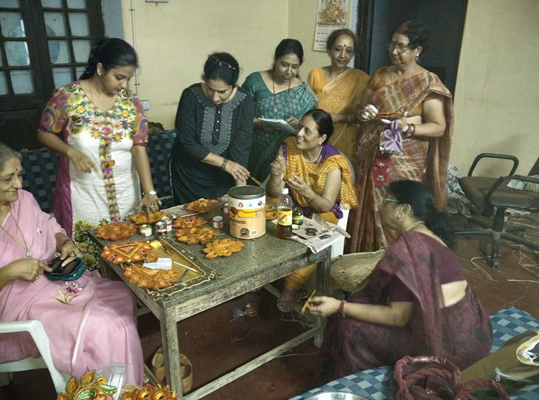 In these 6 years she has trained 171 females and they all are working from home. In fact the dedication of Shilpa helped her to open 10 to 12 sub-centres of the tailoring training in remote area. In each of these sub-centres 25-30 females participate. Now Shilpa is earning around 5 to 6 thousand rupees per month. She has even helped her father get a medical operation done which cost her 40 thousand rupees. With her earning she is helping her younger sister’s education, who is doing civil engineering from a Odisha institute. This report has been filed by Kuber Singh Suryavanshi. 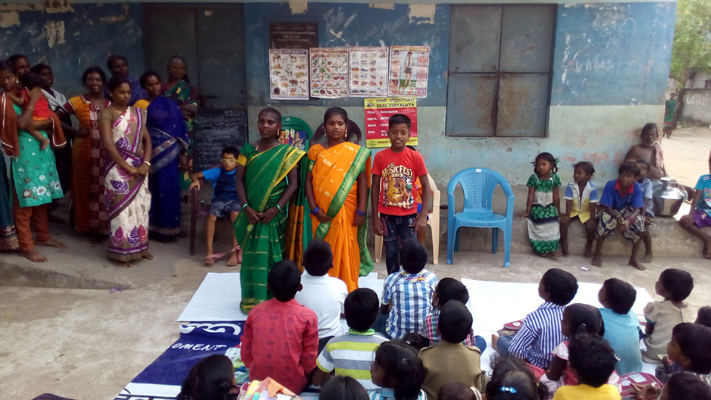 Similarly, Mrs Supriya Kanlid from Purnadih village – Jharkhand received training in sewing from Ekal’s Gramothan Resource Centre in the year 2012. Now she too is self reliant. All the members of the Prayag Ekal Chapter share a deep appreciation of, rather a fascination for the Ekal vision for our country. With the fruits of last year’s success we have adopted a sanch called Chaka, an hour’s drive from our town, and have already initiated projects there in keeping with the Ekal panchmukhi shiksha. We are now nursing the ambition of converting Chaka into an adarsh sanch, to present it as an example worth emulating by others. For this we have launched Ekal Deep Yojana 2016. 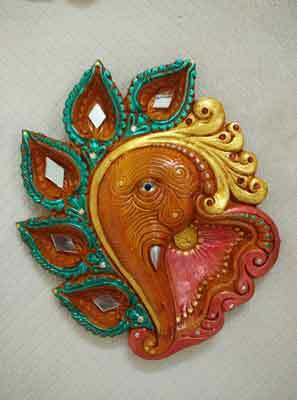 We have come up with newer, more attractive designs. 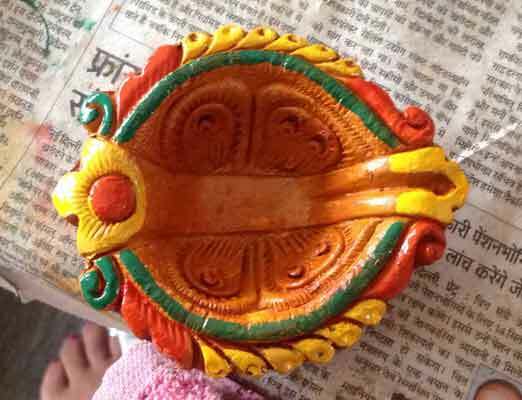 We are trying to involve an even wider segment of society in the painstaking process of beautifying the diyas. The success of this yojana will give a great fillip to those of our projects that are now in the pipeline. Chief among these is the construction of a Community Centre on a plot of land donated to us by their Pradhan, in which we intend to base skill development activities as well as agri-based small-scale industries to promote swavalamban among the gramvasis. We wish to create an oasis where we will help the inhabitants to improve every facet of their lives to its highest potential. And once this is done, we will facilitate this oasis to spread into the neighbouring wilderness and gradually overtake it. But, in order to achieve these grand ambitions, we need to enlist the help of all of society. 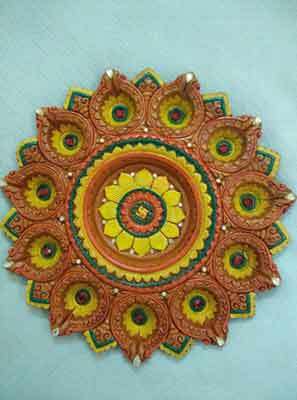 We appeal to all of you to please place orders for our diyas, details and pictures of which are given here. 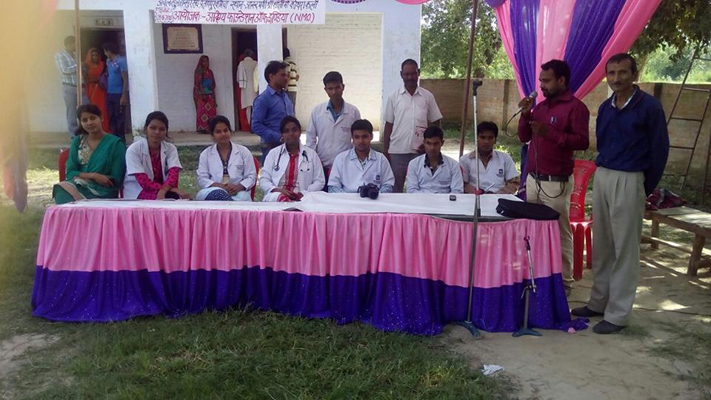 Health camp was organized across 7 locations in Allahabad by Dr Sidharth Krishna. 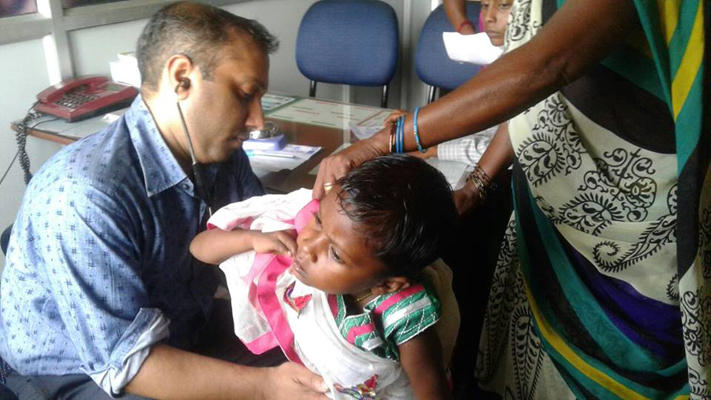 The camps were organized by Arogya Foundation of India and National Medicos Organization. Prayag chapter thanks all those Doctors, Medicos, Pharmacists and Donors who helped them. Shri Narendra Mahli who is responsible of Arogya yogna in Gumla, Lohardaga Bhag has built nearly 294 toilets in 4 villages with the help of the government funding. 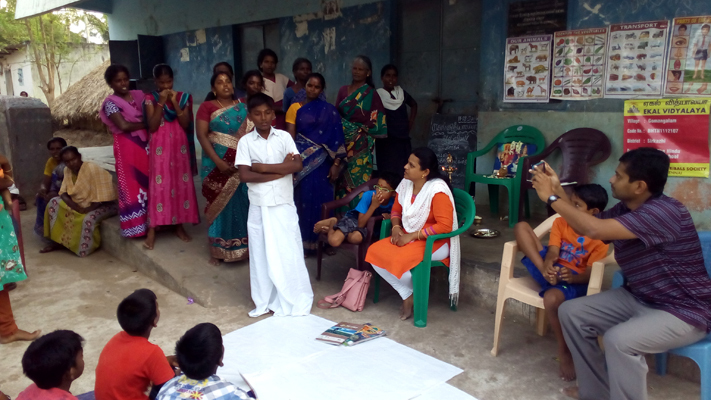 During an anemia awareness program he happened to visit 30 Ekal vidyalayas of Gumla sanch to do the survey. He found that several people were suffering from diarrhea and that two people had lost their lives due to snake bite when they went out to defecate at night. Hence he approached the block development officer along with all 4 village committee members and informed him the problems that these 4 villages were facing. 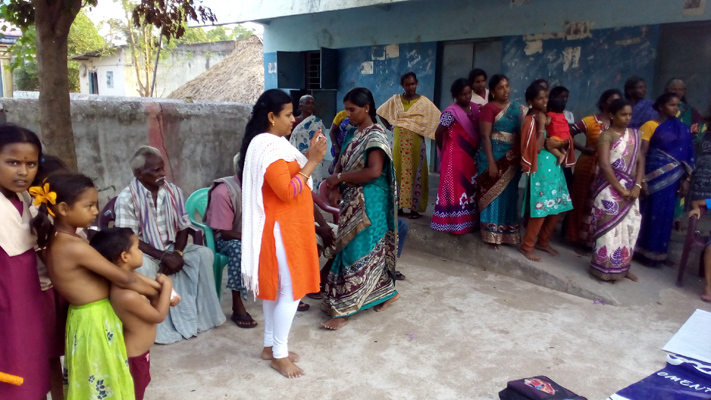 Upon the official’s information on the cleanliness campaign in India where one could receive Rs 12,000/- instantly from the government funding, the toilets were constructed in the four villages. Smt Supriya Kanlid from Purnadih village, Jharkhand received training in sewing from Ekal's Gramothan Resource Centre (GRC) in 2012. She can stitch blouse, petticoat, ladies suit, dress etc. She thanks Gramothan, since she is able to get Rs 5000 to Rs 6000 every month by stitching for her villagers who were earlier going to about 4 to 5 kms away from their village for this purpose. She says with pride that she is now able to support her husband, who is unemployed, to pursue his post graduation with her income. The above pictures were taken on 12.08.2016 during the vanyathra by Smt Shobana Sampath & family from USA in Karkudal village in Sirkali Anchal, Viruthachalam Sanch, Tamil Nadu. 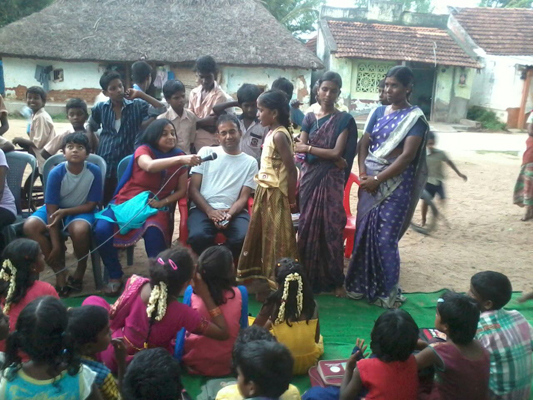 The above pictures were taken on 11.08.2016 during the vanyathra by Smt Arthi Ananth & family from USA in Karuvepilankurichi, Gomangalam villages in Sirkali Anchal ,Viruthachalam Sanch, Tamil Nadu. Karyakarthas were Smt. S.Latha & Smt. 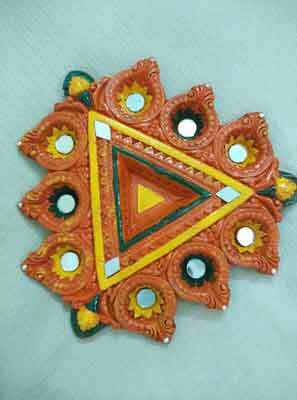 Mahalaskhmi.